Exclusive: The modern Republican Party and its chic libertarians have dallied with white supremacists as a political necessity, because blacks and other minorities have rallied to the Democrats due to their better civil rights record. But the Right’s dancing with the racist devil is not new. It’s as old as the Founding, writes Robert Parry. In the U.S. news media, there is often a distinction made between the racist Right, which emerged from the struggle to maintain slavery and segregation, and the “small-government” Right, which supposedly represents a respectable conservatism focused on the libertarian ideals of personal freedom and free-market principles. But the reality is that both of these major branches of the American Right grew from the same political trunk, i.e., the South’s fear that a strong federal government would intrude on the practices of slavery and, later, segregation. And, throughout U.S. history, those two branches of the Right have been mutually supportive. 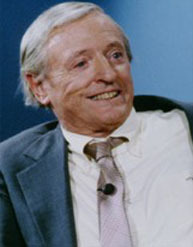 Conservative pundit and publisher William F. Buckley Jr. Thus, prominent leaders of the “libertarian” Right the likes of William F. Buckley, Barry Goldwater, Ronald Reagan and Ron and Rand Paul have opposed major legislative efforts to combat Southern segregation, typically citing the “liberty” of a white restaurant owner to bar black patrons as trumping the right of the patrons to be treated fairly. Similarly, on Tuesday, the right-wing majority of the U.S. Supreme Court embraced the freedom of states and communities with a history of racial discrimination in voting to change their voting rules without having to get clearance from federal authorities as the Voting Rights Act of 1965 (and renewed in 2006) had required. The right of these districts to set their own standards topped the power of Congress to require that the principle of one person, one vote be respected for black and brown people, according to the Court’s five right-wing justices. Thus, the libertarianism behind “small government” principles again supported the goal of white supremacy. The reality of these two wings of the Right flapping together in coordination has existed since the Founding of the Republic when Southern opponents of the Constitution’s proposed concentration of national power in the federal government argued that the shift away from state sovereignty as contained in the Articles of Confederation would inevitably doom slavery. Though the Anti-Federalists lost the fight over the Constitution’s ratification, they continued to oppose President George Washington’s vision of a vibrant federal government building the young nation and protecting its fragile independence. After Thomas Jefferson returned from France in 1789, the Anti-Federalists found their charismatic political leader. Along with his intellectual prowess, Jefferson was not above engaging in secretive personal attacks on Washington’s key lieutenants, particularly Alexander Hamilton and John Adams. Jefferson ultimately organized his faction into the Democratic-Republican Party. Despite his elegant words about freedom and equality, Jefferson was at his core a racist hypocrite who believed in white supremacy and rejected ever incorporating emancipated blacks into American society. Like Henry and Mason, Jefferson recognized the threat that a strong central government posed to his beloved Virginia and its lucrative institution of slavery. So, Jefferson fiercely opposed the Federalist program that sought to promote the country’s development through everything from a national bank to a professional military to a system of roads and canals. The primary distinction between Washington and Jefferson was that although both were Virginian slaveholders Washington was arguably the First American while Jefferson was a Virginian first, rooted deeply in its soil and traditions. Washington understood the new country as it was born through the Revolution’s motto of “Join, or Die.” He led the Continental Army in battles from Massachusetts to New York through New Jersey and Pennsylvania to Virginia. He knew the perspectives of the various regions and grasped the potential (and the problems) of the young nation. As Commander-in-Chief, Washington also experienced the gross ineffectiveness of the Articles of Confederation, which governed the country from 1777 to 1787 and which made the 13 states “sovereign” and “independent.” He had seen his troops go hungry because states reneged on pledges of support. After Washington’s army defeated the British in 1781, he watched in dismay as the squabbling among the states continued. Not only did Washington perceive how the Articles were holding back the nation’s economic development but how they were endangering its fragile independence, as European powers played one region against another. When Shays’ Rebellion broke out in western Massachusetts in 1786, Washington was particularly concerned that the disorder might serve the interests of the British, who had only recently accepted the existence of the United States. Washington kept in touch with his Revolutionary War associates in Massachusetts, such as Gen. Henry Knox and Gen. Benjamin Lincoln. Shays’ Rebellion was finally put down by a militia force led by General Lincoln, but it helped convince Washington to attend the Constitutional Convention in Philadelphia with the goal of throwing out the Articles of Confederation (along with the notions of state “sovereignty” and “independence”) and drafting a new governing structure that centralized power. Two of Washington’s chief lieutenants in this endeavor were his Revolutionary War aide-de-camp Alexander Hamilton and James Madison, who had studied various governing models and pushed for a system relying on checks and balances. As a protÃ©gÃ© of Washington, Madison favored even a stronger federal government than emerged from the compromising in Philadelphia. For instance, Madison wanted to give Congress the power to veto state laws, but had to settle for making federal law supreme and giving federal courts the power to strike down unconstitutional state statutes. However, after Jefferson’s return from France where he had served as U.S. representative, the principal author of the Declaration of Independence began organizing political and public opposition to President Washington’s activist vision. Jefferson, as Secretary of State, became a particularly fierce rival of Treasury Secretary Hamilton. Among other tactics, Jefferson secretly financed newspapers to attack his rivals, including Washington’s successor, President John Adams. The nastiness of Jefferson’s approach alienated Adams and prompted retaliation in kind from the Federalists. Washington’s great fear of factionalism was being realized. While the nasty political exchanges were extremely personal, they also reflected the agrarian interests of Jefferson’s Virginia (i.e. slavery) versus the commercial and industrial interests of New York and New England, represented by Hamilton and Adams. Historically, Jefferson’s political operation has been dressed up in the fineries of ideology and his desire for “Republicanism.” But the core of his insistence on a weak central government and his emphasis on states’ rights was his recognition that the Federalists would otherwise become a threat to slavery. His defense of simple “farmers” was a euphemism for his advocacy on behalf of his real “base,” plantation owners. The brilliant Jefferson also pulled his Virginia neighbor Madison out of Washington’s orbit and into his own. In modern times when the Right claims Madison as one of their heroes, it is this later incarnation of Madison who joined with Jefferson. It is not the Madison who drafted the Constitution and worked with Washington in centralizing power in the federal government. Unlike George Washington who freed his slaves in his will, neither Jefferson nor Madison granted a blanket grant of freedom in their wills. Jefferson only freed a few slaves who were related to his alleged mistress, Sally Hemings, and Madison freed none. As historians Andrew Burstein and Nancy Isenberg wrote in Madison and Jefferson, these two important Founders must be understood as, first and foremost, politicians representing the interests of Virginia where the two men lived nearby each other on plantations worked by African-American slaves, Jefferson at Monticello and Madison at Montpelier. So, Jefferson and the Virginia Dynasty combined the two core elements of what would become America’s right-wing ideology, racial bigotry and hostility to government, a pairing that grew even more constricting on the nation’s future in the decades before the Civil War when Southerners even opposed federal disaster relief out of fear that it could serve as a precedent for abolition. When 11 Southern states formed the Confederacy after the 1860 election of Abraham Lincoln, the merger of “states’ rights” and racism reached its zenith. Meanwhile, President Lincoln represented the opposite approach, favoring a strong and activist central government. Before his assassination in April 1865, Lincoln had not only defeated the Confederacy, reunified the nation and pushed through the Thirteenth Amendment ending slavery, but he began construction of the transcontinental railroad. After Lincoln’s death, the Congress of the Reconstruction era passed the Fourteenth and Fifteenth amendments, guaranteeing equal rights for blacks and their right to vote. Lincoln had bequeathed the country a federal government demanding justice for blacks and eager to strengthen the nation through economic development. However, in the years after Reconstruction ended in 1877, a new alliance emerged between racist Southern whites and “laissez-faire” Northern industrialists. The arrangement was that the white Southern aristocracy could reassert itself under Jim Crow laws and the white Northern “robber barons” could minimize federal regulation of their businesses and their stock speculation. That political paradigm continued for the next half century despite the occasional emergence of reform-minded politicians like Theodore Roosevelt who pressed for a greater government role in restraining the worst abuses of capitalism. It took the Great Depression and the election of Franklin Roosevelt to change things. Drawing on the traditions of Washington, Lincoln and Theodore Roosevelt, FDR asserted a strong role for the federal government on behalf of the common citizen as well as in regulating the excesses of powerful businessmen. First Lady Eleanor Roosevelt also began speaking up for oppressed African-Americans. From FDR’s New Deal and the follow-on efforts of an activist federal government under Harry Truman, Dwight Eisenhower, John F. Kennedy and Lyndon Johnson, the Great American Middle Class was built. The Feds also intervened in support of the civil rights movement to break the back of Southern segregation. However, the white backlash to this federal activism against segregation became the energy driving the modern Republican Party. The smartest right-wingers of the post-World War II era understood this reality. Then, there was Richard Nixon’s Southern strategy of using coded language to appeal to Southern whites and Ronald Reagan’s launching of his 1980 national presidential campaign with a states’ rights speech in Philadelphia, Mississippi, the notorious site of the murders of three civil rights workers. The two strands of historic conservatism — white supremacy and “small government” ideology — were again wound together. That’s why Republican-controlled statehouses engaged in aggressive gerrymandering of congressional districts in 2010 and tried to impose “ballot security” measures across the country in 2012. The crudity of those efforts was almost painful to watch. As Frank Rich noted, “The boosters of the new voting regulations would have us believe instead that their efforts are in response to a (nonexistent) rise in the country’s minuscule instances of voter fraud. Everyone knows these laws are in response to the rise of Barack Obama. It is also no coincidence that many of them were conceived and promoted by the American Legal Exchange Council, an activist outfit funded by heavy-hitting right-wing donors like Charles and David Koch. Yet, this marriage of slavery/segregation and small-government philosophy has endured as long as there has been a United States of America. It is how the worst aspects of America’s Founding era the enslavement of African-Americans and the Southern white fear that a strong federal government would eventually right that wrong reach to the present day. Malcolm X once quipped in his posthumous autobiography (1965) that liberals talked about keeping the “knee-grows” in their place whereas conservatives said “let’s keep the niggers in their place”. In the near half century since his death, little has happened to change this school of thought( pace Rush Limbaugh, Bill O’Reilly, Pat Buchanan and of course the late William F.Buckley)! It occurred to me that an appropriate addendum to this history would be a mentioning of how the present day “Federalist Society” has configured itself to be the opposite of what it actually is. Parry shilled in favor of one of the most anti-civil rights presidents of all time who makes Reagan look like a liberal, and went on endlessly about how a vote for anyone other than said president was a vote for evil, never mind that the NDAA, the NSA scandal, the lack of Wall Street prosecutions, the impoverishment of the American people, the genocidal war on drugs designed to wipe out nonwhites, etc. are all being perpetrated by said president. Parry has no credibility. And this article is historical revisionist nonsense. Not so gentelmen : you both have raciest elements in your party . #2. Don’t fight over who is more raciest now #3 not much has changed , Obama like him or not has proven that with so called tea party. To describe Buckley as Libertarian perfectly demonstrates how far removed fom reality the lunatic left really is. As the demoncrats support the same destructive global nonsense as the rethuglicans,your diatribe against libertarians is poppycock.Both parties are complicit in our wars,trade and monetary hijinks which have enriched the few and left our inner cities and countryside impoverished and jobless,as pearls are thrown to the swine of exclusivity and faux nobility. Of course, there is truth in what you say if you atomize the situation, but generally speaking, the Republicans took the lead in giving tax breaks to the rich, the corporations, the banks, and becoming the war party that neocons’ bumbling foreign policy caused, etc. Sure some Democrats are tapping deep pockets to survive the Republican handover of government to the aforementioned. The works by former White House Counsel, John Dean, are quite instructive, one of which is: Broken Government: How Republican Rule Destroyed the Legislative, Executive, and Judicial Branches. Sorry, but it began with the Republicans and thoroughgoing Libertarian rule would just make it worse. The social upheaval would be bloody. Some predict that is coming anyway. And what “dahoit” would liberitarians do differently??. Allow the wealthy and powerful more freedom to crush and impoverish the weak more than they do now? Allow Don Black, Ron Paul and Rand Paul and their sick or ignorant followers more freedom to deny access to basic human dignity for blacks? What are the “rethugs” and the democrats doing now that couldn’t be worse under a libertarian government? More regulation for wall street? What a joke you are!!! Libertarians were always in favor of individual rights and choices and responsibilities. Until they threw in with the Tea Potty and decided one way to keep the nation from evolving was to attack women. The War on Women is culminating with hundreds of laws against not just birth control but abortion. Classical libertarians were always pro-choice. Funny, too, how the Tea Potty/neo-libertarians can’t get it that gay marriage is a civil rights issue. Libertarians, your principles have slipped!!! Gretchen, “Liberianism” in America is usually; infact almost always; in 99% of the cases just a convenient cloak under which cowardly racists and insecure whitemen, impelled by unhealthy passions unconsciously like to hide. It is just a cloak to hide their true motivation;which is;white supremacy and the right to oppress minorities. Unfortunately not many people see the “cloven hoofs” under that cloak. So much so that calling oneself a libertarian in this “jaded country” does not carry the just opprobium it deserves. Calling oneself a “libertarian” in a country with a current and past history like ours is either dishonest or ignorant and as I said racist. That statement assumes that Libertarians have ever hade principles. Libertarian is just another word for selfish. Looks like women are going to have to band together like the blacks and hispanics that elected Obama. Maybe Hillary would be the ticket to draw liberal women en masse to the polls. The Dems have no one to pull minorities to the polls like Obama. White men risingâ€”especially if they can do enough finagling to reduce minority voting. Yes the Republicans were the ones that freed the slavesâ€”but it was NORTHERN Republicans of the nineteenth century. The North shifted to the Democratic Party when business tycoons squeezed them too far, giving rise to big labor, and the turn to Democratic. Southerners remained Democrats as long as they could enforce Jim Crow and wield power in Congress. But when the Civil Rights Act passed, Southerners abandoned the Democratic Party in droves. It is not a matter of party names that change. It is the old war of the South against the North, which still burns in the South. The REGIONS are still intransigent, especially the South. It is grossly anachronistic for Republicans to claim the are TODAY’S heros of civil rights. And I am a Southerner. It is not just a war of the South against the North. It is an orchestrated plan that pits the lower middle class whites and the poor whites of the South against all Blacks. As long as the wealthy White elite of the South can keep poorer Whites believing their real enemies are the Blacks they can maintain their obscene, unearned wealth and continue to exploit everyone else. All of the ills this country has experienced since its inception in 1789 has resulted either directly or indirectly from the requirement that the economy support and maintain a huge inequality of wealth in which a small percentage of the public owns a gigantic percentage of the country’s fortunes. It will continue so long as the Public remains divided by emotional issues and distracted from the real problems. I understand what you say and agree. One can’t write a tome in a comment for the sake of precision. That said, I focused on the regional component, which to my mind remains undeniable. They don’t call us “the solid South” for nothing. Yes, bobzz: Those Republicans all died a LONG time ago; to be replaced by fully-captured, Mussolini-style Corporatists. One of the yahoos above needs to study up on the turn of the 20th Century Populist party (I suggest the writings of Jim Hightower; he’s descended from one). The lack of historical knowledge and of contemporary political history of the United States demonstrated by most of the commentators here is amazing. One wonders where people like Walt Guyll and gregorylkruse were schooled. These two must either be classified as “illiterates”, intellectually dishonest or just plain willfully ignorant idiots. Please go back to as recently as 1968 and research the political history of this country of ours…good grief!!!! no wonder the country is “going to hell in a handbasket”. With ill-informed citizens like these who needs enemies. Racism transcends party. None of the Founding Fathers, regardless of their differences, wanted a central government with the overwhelming power to interfere in our lives that our Federal government has today. As regime-progressives note with dismay that their warmongering and economic policy failures are driving young people to embrace libertarianism, they now resort to ugly smears such as found in this article. Your desperation is showing, Parry. Historically, Jeffersonâ€™s political operation has been dressed up in the fineries of ideology and his desire for â€œRepublicanism.â€ But the core of his insistence on a weak central government and his emphasis on statesâ€™ rights was his recognition that the Federalists would otherwise become a threat to slavery. This is a compelling statement, but the article doesn’t contain any direct quotes or references to support it. Is there a book / web site / other source where we can find more information? consortiumnews.com Read the archives or maybe Parry’s books. The Radical Republicans helped free the slaves, enact the 14th Amendment and pass the Ku Klux Klan Act (42 USC 1983) and yet Parry would have us believe it is the Republicans who are the party that has its roots in racism. WRONG! The southern Dems jumped ship after the 1960s and are now a good portion of today’s racist Republicans. Let’s see, Republicans freed the slaves and Democrats were the party of Jim Crow. I do like that you call libertarians chic. You can’t possibly be that stupid.